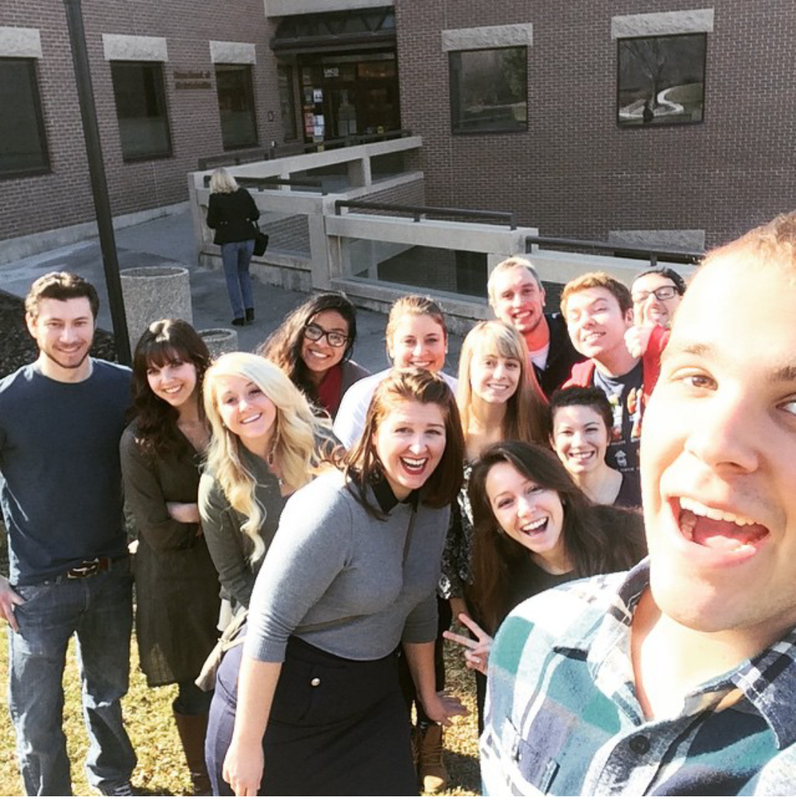 Students took a selfie with Kristen Lavelett, executive director of Local First Utah, outside the University of Utah Department of Communication. Back row, from left: William Phifer III, McCall Gray, Liz Rojas, Sydney Bull, Brandon Risley, Alex Harrington, Nate Astill. Center row, from left: Brittni Strickland and Megan Dolle. Front row, from left: Kristen Lavelett, Shannon O’Connor, Calli Peterson. David Fisher took the photo. Journalism students covered Salt Lake City’s diverse Small-Business community during spring semester 2015. Student-journalists were: Nathan Astill; Sydney Bull; Ryan Carrillo; Megan Dolle; David Fisher; McCall Gray; Alex Harrington; Shannon O’Connor; Calli Peterson; William Phifer III; Brandon Risley; Liz G. Rojas; Brittni Strickland. a coffee shop in Roy that is well worth the drive. Find links to their stories and read their blogs and bios by clicking on a name above, or by selecting Blogs & Bios from the drop-down box, at left. Stories also can be located by clicking on a Tag or selecting a topic such as Education from the Categories box.